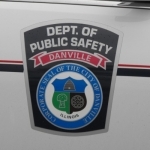 Danville Police are still trying to locate who was responsible for a Friday morning shooting in which a woman was wounded while she was sleeping. Police Commander Joshua Webb says the 22-year-old victim received a non-life threatening gunshot wound to her leg. The shooting occurred shortly before 5:30 a.m. (March 22, 2019) in the 1600 block of Westview Avenue. Police checked the woman’s home and discovered where multiple shots had been fired toward the residence. The victim was unable to provide a description of the suspect, but police hope someone might be able to provide information that could lead to an arrest. Anyone who has information that might help in the investigation is asked to call Danville Police at (217) 431-2250, or you can call Vermilion County Crime Stoppers at (217) 446-TIPS.